Please look at the countdown on the right-hand horizontal strip for availability. I (Morgen) welcome fiction manuscripts for editing and critique, and have been working with authors, shaping their novels, short stories, poetry and non-fiction since 2008 (testimonials below). I have worked with scriptwriters although this is not an area of expertise. The free 1,000-word full edit sample mentioned below applies to prose including short stories, novel extracts. I do not provide specialist feedback on non-fiction, poetry, prose poems or narrative poetry. I recommend Marie Henderson-Brennan for these formats, see option 1b. As well as having chaired three Northamptonshire-based writing groups (2008-2015), I am a fully-qualified BTEC Level 3 Creative Writing Tutor teaching adults aged 19+ for Northants County Council Adult Learning. I no longer do this as I’m booked to do talks and workshops for direct clients (see Speaking at your event). The options below cover the services I offer but feel free to email me should you need more information or have any queries. OPTION 1a: Any manuscript (short story, part of a novel, non-fiction) of less than 10,000 words per piece is charged at £10 (€12 / US$14 / CA$ & AS$18) per 1,000 words. To work out the cost, multiply your word count by 0.010 / 0.012 / 0.014 / 0.010 respectively. Minimum fee: £15 (€18 / US$20 / CA$ & AS$25). I use PayPal (to morgen@morgenbailey.com – the entire amount paid in advance – see below for details. OPTION 1b: I no longer edit or provide feedback on non-fiction, poetry etc. These formats are handled by my fellow writer and editor Marie Henderson-Brennan, details upon request. OPTION 2: Full editing (content, copy editing & line editing): In-depth ‘firm but fair’ editing with feedback which will include grammar, punctuation, story structure, character depth / dialogue, highlighting potential copyright issues, fact checking, chapter structure / order, narrative drive… the whole shebang. This comes in the form of an edited manuscript together with a comprehensive separate commented document, character / items names table, and clean copy. Suitable for all writers, regardless of experience.This option also includes three Kindle listen-throughs (see option 7 below for details): an initial listen-through then again with a ‘clean’ copy after each on-screen edit (so the revised manuscript with all amendments accepted). – listen to the novel (on my Kindle) while making notes. – I update the manuscript, make a ‘clean’ copy (accepting all the changes) and email that to my Kindle. – I then repeat that one or two more times before settling for the third and / or fourth run through on the screen while listening to the cleanest version. I only send a book back when I’m happy with it. Charged at the competitive rate of £7 (€8.5 / US$9 / CA & AS$12) per 1,000 words. To work out the cost, multiply your word count by 0.007 / 0.0085 / 0.009 / 0.012 respectively (so a 100,000-word novel would be £700 / €850 / US$900 / CA & AUS$1200 respectively). I use PayPal (to morgen@morgenbailey.com) – 50% paid in advance to secure the booking then the balance paid no more than two weeks after the return of the manuscript – see below for details. When you submit your full manuscript, feel free to send me a list of questions and / or areas you’d like particular feedback on. See below (option 8) for synopsis / cover letter feedback. 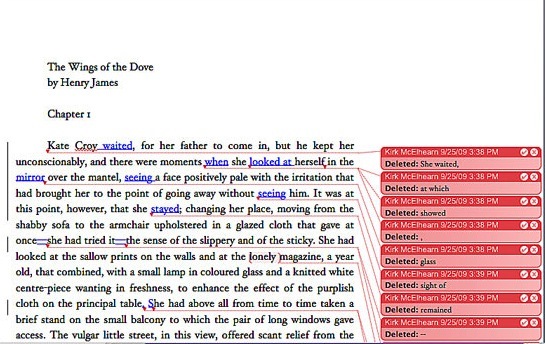 OPTION 3: Line editing: spelling, grammar, punctuation, word usage (e.g. stationery vs stationary, story vs storey, their, there, they’re etc. ), repetition, clichés, sentence construction, consistencies. Here the concentration is on sentences and paragraphs instead of pages and chapters. Suitable for more advanced writers. OPTION 4: Copy editing: a copy-editor makes sure that an author’s raw text, or copy, is such that readers can grasp his or her ideas without stumbling. A copy-editor also tries to prevent embarrassing errors of fact, and alerts the author to any possible legal problems. It is not as comprehensive as a full edit so suitable for more advanced writers. OPTION 5: Proofreading: a human spell- and grammar-checker, concentrating on individual words rather than the context. This is the option to take if you are confident of your characters, plot, structure and layout etc. but you want someone to go through it before you submit to an agent or publisher, or self-publish. My non-fiction writing is about writing so I concentrate on fiction but have proofread non-fiction manuscripts. This option also includes a Kindle listen-through (worth £2 (€2.75 / US$3 / CA & AS$4) – see optional extras below for details) of a ‘clean’ copy (the revised manuscript with all amendments accepted). These three options are charged at £5 (€6 / US$7 / CA$ & AS$9) each per 1,000 words. To work out the cost, multiply your word count by 0.005 / 0.006 / 0.007 / 0.009 respectively. Minimum fee: £15 (€18 / US$20 / CA$ & AS$25). I use PayPal (to morgen@morgenbailey.com) – 50% paid in advance to secure the booking then the balance paid no more than two weeks after the return of the manuscript – see below for details (and optional extras). OPTION 6: General feedback: no proofreading / editing, no changes to the document itself, just a typed summary report. This is useful if you’re not sure whether the story is working, your characters (or plot) are believable or you’ve not edited it yet but have sent it to beta (first-round) readers and the feedback you’ve received makes you wonder whether you want to progress it. I will be honest and tell you, although for most authors who have taken this option, I have seen promise with their work, they’ve just needed a steer in the right direction. Charged at £3 (€3.5 / US$4 / CA & AS$5) per 1,000 words. Multiply your word count by 0.003 / 0.0035 / 0.004 / 0.005. Minimum fee: £15 (€18 / US$20 / CA$ & AS$25). I use PayPal (to morgen@morgenbailey.com) – see below for details. OPTION 7: Kindle listen-through: At any stage in the process (I would suggest at final copy stage), I can utilise my Kindle’s text-to-speech function on your manuscript and suggest any additional changes to be made. This carries an additional fee of £2 (€2.50 / US$3 / CA & AS$3.5) per 1,000 words (based on the length of the manuscript at that stage). This is an audio-only process; I would not be reading your manuscript on the screen and is therefore not as thorough as the editing options. See below for optional extras. PLEASE NOTE: These options help you polish your writing. Email me if you are after a ghostwriting or rewriting facility. OPTION 8: Synopsis / cover letter feedback: I have a standard minimum fee of £15 (€18 / US$20 / CA$ & AS$25), for feedback on your synopsis ((including any ‘spoilers’). Agents / publishers usually prefer one-page synopses) and / or cover letter (four Word pages maximum) with a £10 (€12 / US$14 / CA$ & AS$18) fee for any subsequent reads.I use PayPal (to morgen@morgenbailey.com) – see below for details and / or optional extras. Regardless of the option taken, the first 1,000 words* are free (usually returned within 48 hours), given as the ‘full’ editing service (worth £7 / €8.5 / US$9 / CA & AS$12) for your free sample, unless you advise otherwise. This is sent to you first and there is no obligation thereafter. You can also read some of my critique on the Book & Story Reviews section of this blog. The prices cover a first read through only (actually usually four read throughs before returning) with extensive suggestions (track changes on the manuscript for some options) and feedback (separate document) given throughout. Changes would then normally be made by the author. If you wanted me to go through the document again, this would be chargeable at an additional £2 (€2.50 / US$3 / CA & AS$3.5) per 1,000 words (based on the length of the original manuscript). Feedback on your synopsis / cover letter carries the minimum fee of £15 (€18 / US$20 / CA$ & AS$25) with a £10 (€12 / US$14 / CA$ & AS$18) fee for any subsequent reads. At any stage in the process (I would suggest at final stage), I can utilise my Kindle’s text-to-speech function on your manuscript and suggest any additional changes to be made. This carries an additional fee of £2 per 1,000 words. It is an audio-only process; I would not be reading your manuscript on the screen and is therefore not as thorough as the editing options should you solely choose this option. It is included in the full edit (option 2) and line, copy editing and proofreading (option 5). Any other work would be charged at my hourly rate of £15 (€18 / US$20 / CA$ & AS$25), agreed in advance. NB. I cannot be held responsible for any errors unchecked by the author so the final version will be sent to the author (or designated representative) before submitting to any printers / publishers / editors. PLEASE NOTE: These options help you polish your writing. Email me if you are after a ghostwriting facility and I can provide you with recommendations. I do also transcribe manuscripts from audio files or handwritten formats (rate by agreement). I use Word’s track changes (see picture immediately below as a generic example) as it keeps the file size small and the feedback in one place (other than the accompanying comments document). For authors without Word, and therefore the facility to use track changes, I can usually convert whatever I am sent (Open Office, rtf etc) into Word then do the track changes and save it as a PDF so you can see the changes I suggest. In the first instance… Take a look at https://morgenbailey.wordpress.com/writing-101 for my writing tips. If this improves your writing, then it makes my job easier to give feedback on it. Then email me your 1,000-word extract or short story and I’ll get my feedback to you as soon as possible (usually within 48 hours, or I’ll email you to advise). First 1,000 words free (usually returned within 48 hours). <10,000 words: 100% in advance, when documents submitted. Usually no more than 2 weeks depending upon existing workload. Over 10,000 words: 50% in advance, when documents submitted, then remaining 50% within 14 days of receipt of feedback / critique. Usually 2-5 weeks max. for full-length novels depending upon existing workload. Feedback on synopses / cover letters will be chargeable at the minimum fee of £15 (€18 / US$20 / CA$ & AS$25) with a fee of £10 (€12 / US$14 / CA$ & AS$18) per any subsequent read. (a) Sign up to http://paypal.com. (b) Click on ‘Send money’ and enter my email address (morgen@morgenbailey.com – please note I’m Morgen with an E). (c) Enter the amount and select the relevant currency (ideally £ but you can pay in your currency). (d) Select ‘I’m paying for goods and services’ (which means I pay the PayPal fee, not you). (e) Click on continue and check the details are correct before you pay. I have written / published over 400 short stories, from six words to several thousand, in a variety of genres. My seven novels are chick-lit (a 105,000-worder, originally a 117,540-word first draft), lad-lit, mystery, and various shades of crime. I am currently writing my eighth novel, a departure from adult fiction with a young adult novel. I have been critiquing fellow writers’ novels, short stories (and non-fiction) since 2008, covering all mainstream genres, most recently YA dystopian, YA paranormal, action & adventure, contemporary romance / erotica, mystery, lad lit, thriller, and crime. “I would also like to take the opportunity to say thank you for your edit. It was clear, comprehensive and made it very easy for me to understand what I why I needed to make changes. As a plus it was also vastly quicker than I had any right to expect – which has been a colossal boon as my deadlines gallop closer!” Katy Haye (England) You can watch Katy’s inspirational ‘How to be a writer’ video here. “I asked Morgen to edit my first novel after meeting her at Crime and Publishment in March. Her rates are extremely competitive and the returned ms along with comments allowed me to bring it up to the standard required to publish or submit. I’m happy to say that the first publisher I approached offered me a contract and I have no doubt that Morgen’s skilful editing hugely contributed to this. I’m a bit wary about posting this without running it past Morgen first TBH as I may have fragmented sentences or something!” Mike Craven (UK) Looks good to me. Thank you, Mike. The first ‘red pen’ session episode was released on Monday 8th August 2011 featuring a 325-word flash fiction entitled ‘Green’ by San Francisco-based writer and musician J D Mader and the podcast is available via the links at the top of this page (and in the ‘Where to find me’ side menu) with a summary here and you can listen to the episode here. Full feedback was blogged – Sunday 2nd December 2012. The second ‘red pen’ session episode was released on Monday 22nd August featuring a 1,591-word short story from Aneesa – the summary was posted here and you can listen to the episode here. Full feedback to be blogged t.b.a. (awaiting permission from the author). The third ‘red pen’ session episode was released on Monday 5th September and featured a novel extract from crime writer Lae Monie. A summary of the podcast episode was posted here and you can listen to the episode here. Full feedback was blogged – Tuesday 4th December 2012. The fourth ‘red pen’ session episode was released on Saturday 17th September and featured a 883-word short story entitled The Sow’s Ear by J D Mader. A summary of the podcast was posted here and you can listen to the episode here. Full feedback was blogged – Wednesday 5th December 2012. Aneesa returned for episode no.5 which was released on Monday 10th October and featured a short story called ‘You are my reasons’ -– the summary was posted here and you can listen to the episode here. Full feedback to be blogged t.b.a. (awaiting permission from the author). Episode no.6, released on Monday 24th October, was an extract from forthcoming novel ‘Firebound’ provided by teacher and writer Kathryn Wild – the summary of which was posted here and you can listen to the episode here. Full feedback was blogged – Friday 7th December 2012. Episode no.7, released on Sunday 6th November, featured a short story by Aaron entitled ‘On the edge’ – the summary was posted here and you can listen to the episode here. Full feedback was blogged – Saturday 8th December 2012. Episode no.8, released Sunday 27th November, was another novel extract by crime writer Lae Monie – the summary was posted here and you can listen to the episode here. Full feedback was blogged – Sunday 9th December 2012. Episode no.9, released Wednesday 28th December – was my critique of a novel extract from The Desolate Garden by Danny Kemp – the summary was posted here and you can listen to the episode here. Full feedback was blogged – Monday 10th December 2012. Red Pen no.10, critique of Circles, a short story from Aaron (see episode no.7) – Sunday 16th December 2012. Red Pen no.11, critique of an extract (with synopsis) from Lianne Simon’s novel Confessions of a Teenage Hermaphrodite – Sunday 23rd December 2012. Red Pen no.12, critique of the short story Shooting Stars by crime novelist, short story author and interviewee Graham Smith – Sunday 30th December 2012. 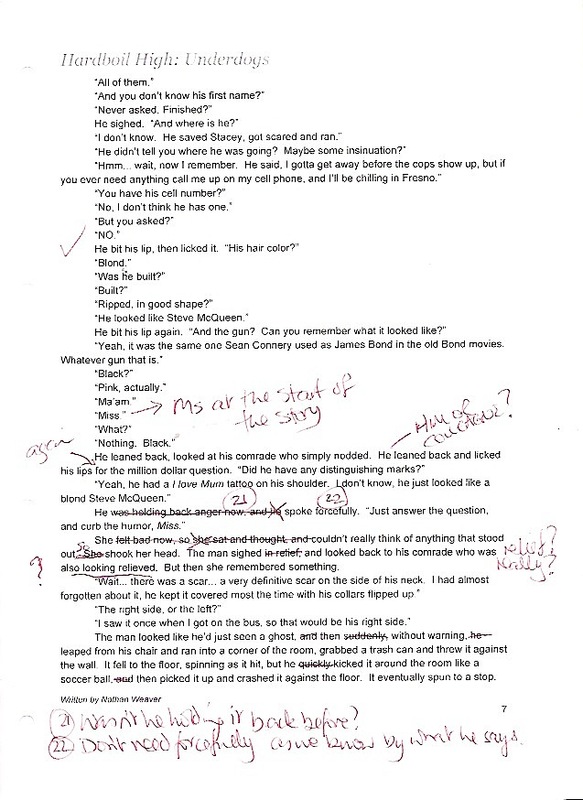 Red Pen no.13, critique of a novel extract from YA, romance and suspense thriller novelist Erica Miner‘s Murder in the Pit – Sunday 6th January 2013. Red Pen no.14, critique of Agoraphobia, a short story by non-fiction and short story author Kerry Dwyer – Sunday 13th January 2013. Red Pen no.15, critique of Betrayal, a short story by short story author and poet Charlie Kane – Sunday 20th January 2013. I have also critiqued for my four in-person writing groups, and five Online Writing Groups. £2 (€2.50 / US$3 / CA & AS$3.5) per 1,000 words for a Kindle listen-through only with brief summary (no more than four pages) of feedback. £7 (€8.5 / US$9 / CA & AS$12) per 1,000 words for a full critique (track changes and full typed report). Minimum fee for any of the above services: £15 (€18 / US$20 / CA$ & AS$25). Fee agreed in advance, but based on the above and no more than £7 per 1,000 words. Please note: Non-sterling rates may vary depending upon exchange rates (updated 12th April 2017) but will be the price on this page at the date of agreement of work to be undertaken will be the price you pay. Fee agreed in advance. Payment for items over 10,000 words: 50% upfront, 50% no more than 14 days after complete feedback received via PayPal to morgen@morgenbailey.com. Note: Morgen is spelled with an ‘e’ not ‘a’. Payment for items under 10,000 words: 100% upfront via the above method. Prices valid until January 2018 (sterling held since January 2015). NB. First 1,000 words free, no obligation thereafter. Note: I am English so will feed back based on UK English rather than US English although US spellings will remain unaltered. Fee set in advance so there are no further costs unless agreed, and payment to be made via PayPal (details above). It is stressed that I am not responsible for the accuracy of the content of the authors’ works before or after publication and any factual mistakes not pointed out shall incur no liability on my part. I also transcribe manuscripts from audio files or handwritten formats (rate by agreement). Whatever your requirement, you can email me at morgen@morgenbailey.com. Pingback: Life is like a box of chocolates… | Julie Wow: Wit or Wittering? Thank you very much, Rosalind. It’s very kind of you to say so, and to ask me to help you. I really enjoyed it. Hi Morgen, I just wanted to thank you for editing my novel… you’re fantastic! I’ve learned so much from the notes (and from your writing course) and it reads so much better now. Everything you suggested was spot on. I’m going to use a cliche now, so sorry in advance :o) … but you’re worth every penny! I’ll be sending my next novel as soon as it’s finished. Thank you, Deborah. I look forward to reading it.